My book, Bean-to-Bar Chocolate: America's Craft Chocolate Revolution, is now officially published! To celebrate, I'm releasing my list of the top 50 bean-to-bar chocolate makers in the United States from my book. Read on to see if your favorite maker made the cut! Come on, admit it. I know you have a favorite chocolate maker. Everyone does, and opinions range widely. That’s why I’m calling this list “my top makers.” I’m not claiming that this is The Exclusive List of the best bean-to-bar makers ever; rather, they’re the ones that I personally think are worth trying and visiting (if they’re open to the public). I’ve listed them in alphabetical order and divided them into tiny, small, medium, large, and giant — loose categories to give you a sense of whether they’re a one-person operation or a 200-person conglomerate. Tiny generally means it’s a one- or two-person shop without much distribution. Small- and medium-size makers have a few more employees as well as a retail location and/or café. Large makers have dozens of employees, a space where the public can visit, and good distribution. And giant makers have many employees (around 100), great distribution, and sometimes even wholesale or private-label businesses. Find basic information about each maker below, and read more about many of them throughout the book. Products: Small collection of two-ingredient bars. All beans are sourced from a co-op in northern Peru. Products: Single-origin bars, especially from Venezuela, and some inclusion bars. Made with added cocoa butter and vanilla. Some private-label products. Provides to restaurants like Chez Panisse. Products: Large collection of single-origin bars. Visit: Yes! Check out the factory and shop. Products: Single-origin (especially from Tanzania and the Philippines) and inclusion bars as well as collaboration bars made with other artisan makers. Milk chocolate and even white chocolate. Visit: Yes! Check out the café and factory tours. Products: Two-ingredient single-origin bars, some milk chocolate, and chocolate-related products (granola!). Visit: You can visit Lake Champlain’s factory but not Blue Bandana’s. Products: Two-ingredient single-origin bars with a few inclusion bars, chocolate chips, and roasted nibs. Products: Single-origin bars as well as inclusion bars with interesting ingredients like dried blueberries. Visit: Yes! Check out the factory with antique machines and the small shop, as well as tours on the weekends and by appointment. Products: Single-origin bars, inclusion bars, couverture, hot chocolate, and nibs, all using cocoa from the Dominican Republic. Visit: Yes! Check out the shop. Products: Focuses on rare heirloom beans and single-origin bars. If you visit the shop you can also try and buy truffles, cookies, drinking chocolate, and more. Products: Vegan bars with lots of fun inclusions and other products (think toffee almond bites). Visit: Yes! Check out the café with plenty of special desserts and confections. Products: Single-origin and inclusion bars and bonbons as well as drinking chocolate, nibs, and beans. Products: Inclusion bars with creative ingredients like bee pollen, Palo Santo wood, and Pop Rocks (see page 189 for a recipe). Visit: Yes! Check out the factory and café. Products: Two-ingredient single-origin bars. If you visit the café you can also try brownies, cookies, and drinking chocolates. Visit: Yes! Check out the shop and factory for tours. Products: Two-ingredient single-origin bars and some inclusion bars, as well as drinking chocolate and baking chocolate. Visit: No, but you can check out Crio Bru, its parent company, at its shop in Lindon and take tours there. Products: Single-origin bars made with added cocoa butter. Visit: Yes! Check out the café. Products: Single-origin bars, inclusion bars, and bonbons. If you visit the store, you’ll also find ice cream, drinking chocolate, and more. Products: Single-origin and inclusion bars, plus many confections, baking mixes, cookies, and more, available online and at the café. Visit: Yes! Check out their lounge, factory, and boutique with a huge collection of bars from other makers too. Products: Two-ingredient single-origin bars and some inclusion bars with ingredients like coffee and malted milk, as well truffles, brownies, toffee, and drinking and baking chocolate online, plus cakes, cookies, and more in the lounge. Products: Single-origin bars that specify their roasting style and conching style, so you can get super nerdy about it. Visit: Yes! Check out the production area as well as café and coffee bar. Products: Small selection of two-ingredient single-origin bars, drinking chocolate, and brownie mix. Visit: Yes! Check out the big store in Shokan and satellite store in Woodstock. Products: Single-origin and inclusion bars with creative ingredients like corn, as well as hot chocolate, bonbons, caramels, and other confections. They also make milk chocolate and even white chocolate. Products: Single-origin and blended dark and milk chocolate bars as well as dark, milk, and white baking chocolate, drinking chocolate, cocoa powders, and couverture chocolate for professional chefs. Used by many food manufacturers, restaurants, and chocolatiers around the country (and internationally), including See’s Candies. Visit: Yes! Check out the factory and store. Products: Uses beans from Brazil’s Atlantic and Amazon rain forests in blends and inclusion bars with ingredients like Earl Grey tea and peanuts and pretzels. Visit: Yes! Check out their factory and shop. Products: Single-origin bars and bars with superfood inclusions like pumpkin seeds and maca. Products: Single-origin and inclusion bars as well as tons of confections. Visit: Yes! Call ahead for farm tours and factory visits. Products: Single-origin and inclusion bars made in Hawaii from tree to bar. 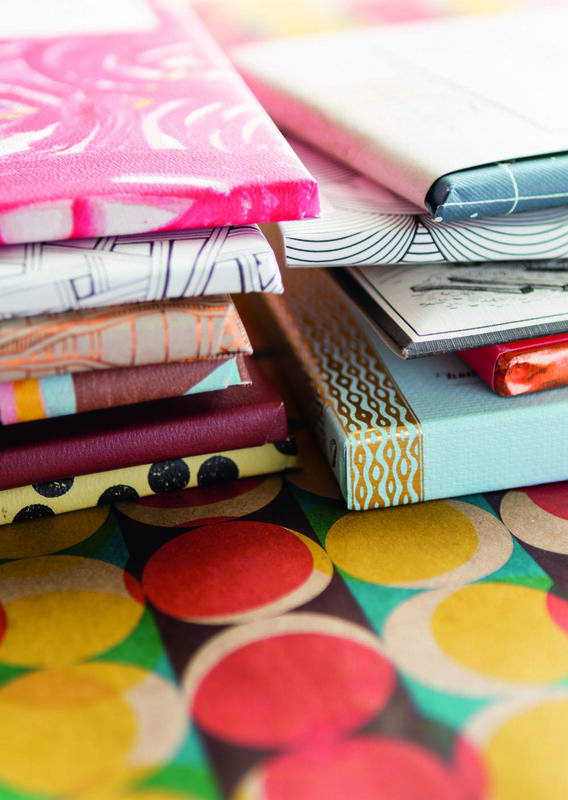 Mostly available through a subscription chocolate club, but any leftover bars can be bought online. Visit: Yes! Check out the shops in Honolulu and Kailua. Products: Vegan single-origin Hawaiian bars as well as bars from other origins and with inclusions. Visit: Yes! Check out the factory. Products: Single-origin Hawaiian bars as well as bars of other origins and with inclusions, plus brewing chocolate, nibs, and more. Products: Custom couverture and single-origin and inclusion bars as well as hot chocolate, cold-brew chocolate, baking chocolate, and single-origin cocoa powder. Visit: Yes! Check out the store. Products: Single-origin bars as well as milk and white bars, inclusion bars, drinking chocolate, and cocoa nibs. Visit: Yes! Check out the café with house-roasted coffee drinks, milk shakes, hot chocolate, and bonbons, as well as special-release bars. Products: Single-origin bars and a few bars with basic inclusions like salt. Visit: Yes! Check out the factory as well as the on-site coffeehouse with chocolate and coffee drinks as well as savory entrées. Products: Single-origin and inclusion bars as well as confections. Products: Single-origin and some inclusion bars. At the café you’ll also find confections, hot chocolate, and more. Products: Stone-ground chocolate using brown sugar. Mostly produces inclusion bars and confections like caramels and chocolate charcuterie. Visit: Yes! Check out their store. Products: Two-ingredient single-origin chocolates as well as chocolate syrup and drinking chocolate. Visit the store for all sorts of confections. Products: Single-origin, blended, and inclusion bars like triple ginger and licorice. Products: Two-ingredient single-origin bars as well as a few inclusion bars. Products: Vegan unroasted (not raw) chocolate. Mostly produces inclusion bars with unusual ingredients like ghost chiles and methods like steaming cocoa over simmering wine. Visit: Yes! Check out the café with chocolate, coffee drinks, and pastries. Products: Single-origin and inclusion bars, plus drinking chocolate, granola, and more. Visit: Yes! But make sure you call ahead. Products: Single-origin and blended bars as well as milk chocolate and drinking chocolate. Visit: Yes! Check out their shop for bars, truffles, and special treats. Products: Single-origin and flavored bars made exclusively with coconut sugar. Products: Bars characterized by flavor notes instead of origin or percentage; tons of inclusion bars in flavors like astronaut ice cream. Visit: Yes! In addition to chocolate bars and bonbons, they make barbecue, so come hungry. Products: Single-origin choco-late bars and unusual bonbons (think Parmesan cheese). Products: A few single-origin bars but mostly inclusion bars. Products: Blends and inclusion bars in flavors like coconut curry and cherry almond. Products: Dark and milk bars as well as confections and baking chocolate. Visit: Yes! Visit the factory. Products: Two-ingredient single-origin bars as well as a few inclusion bars and drinking chocolate. Used by Stumptown Coffee Roasters and many other restaurants and confectioners.